With Dead Week Spring 2015 well on its way, we’re all beginning to feel the time-consuming burdens of end-of-the-semester banquets, meals with friends and the tiring but helpful review sessions held by our instructors. Each day seems to pass by so quickly because of all these plans, and after spending hours studying every night, it becomes more and more tempting to just skip entire meals to save time. 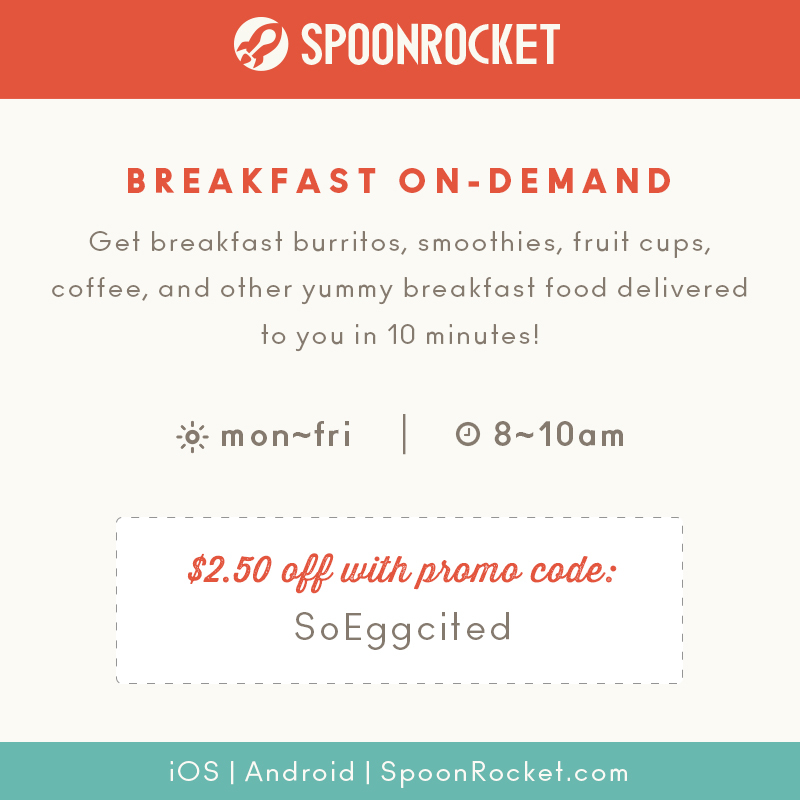 If you’re one of those people who likes to start off the day bright and early but cringes at the prospect of spending time to eat (Spoon is mildly horrified, but we’ll rescind judgment if you take up the following offer), SpoonRocket is here to solve your problems. Beginning this week, the Bay Area-based food delivery service is offering a breakfast menu, available from 8-10AM. 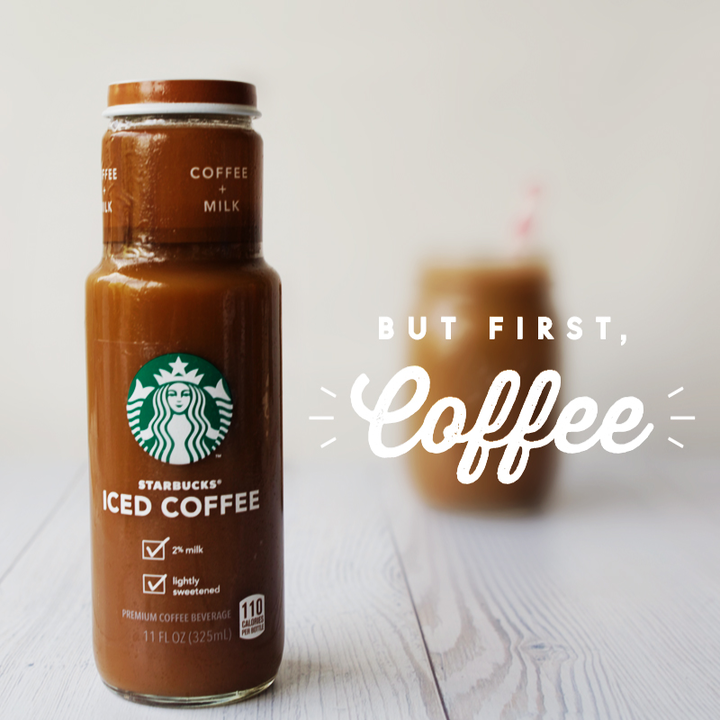 You can choose to start off your day with a healthy fruit cup or a filling breakfast burrito, and top it all off with an iced drink from Starbucks. Afraid you won’t—or don’t—get up early enough to enjoy these exclusive breakfasts? No worries. 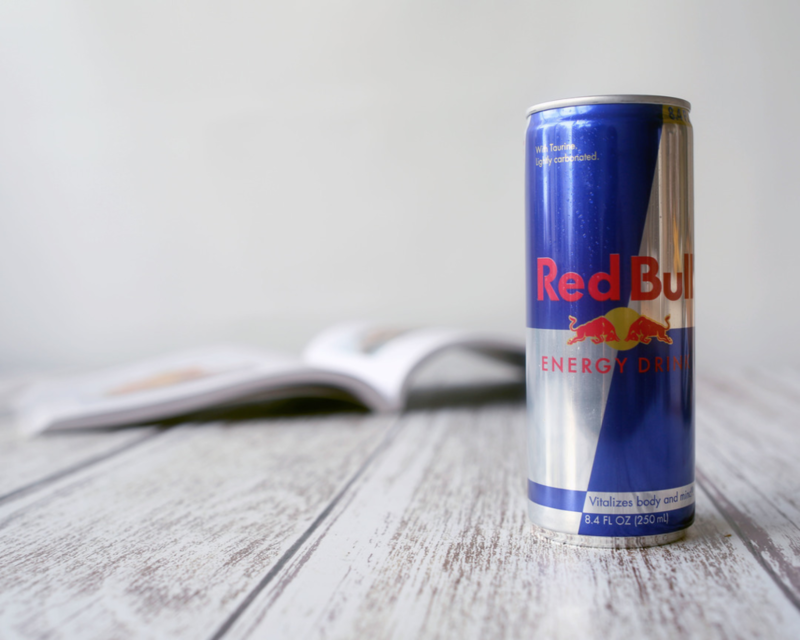 From May 4 to May 15, SpoonRocket is offering an exclusive free Red Bull with every order of an entree (or breakfast, if coffee’s just not your thing)—but only for Cal students. If you’re looking for extra hype, you can also get 50% off on Red Bull Battle Grounds. From all of us at Spoon, we wish you the best of luck on your studies and your upcoming finals. 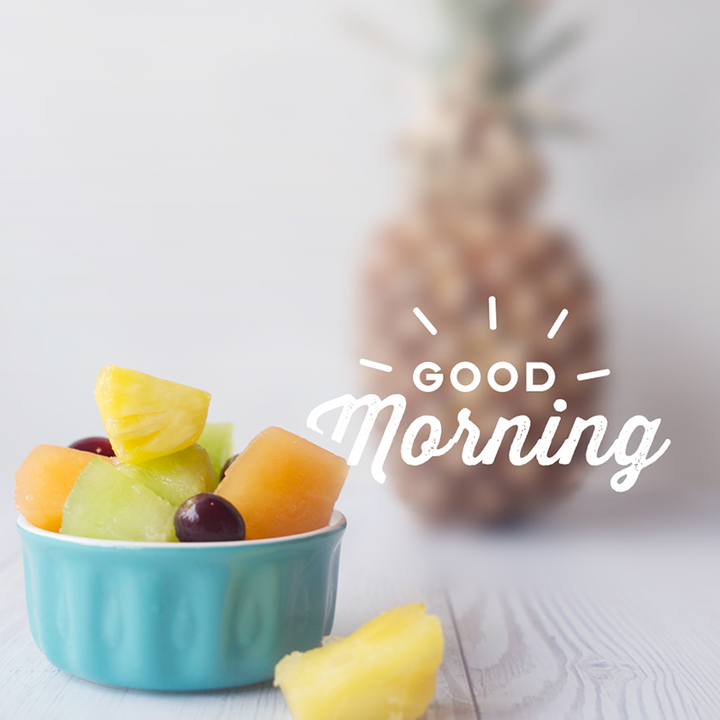 Just remember: Eating breakfast—and if not breakfast, then good solid meals throughout the day—is key to staying healthy during these stressful weeks. And because we really know how you feel about that college budget, have $2.50 off your next breakfast by using the code “SoEggcited” on your order. Happy studying and happy eating!